Are you wanting to increase website conversions? Often the smallest adjustments make the biggest impact. Without further ado, we are sharing 104 fast and simple hints and tips that lead to increases in your conversion rates. Some 47% of email recipients will open an email based on subject line alone. Simultaneously, 68% of recipients report email as being spam based on the subject line. Putting it simply: subject lines have the ability to be make or break for an email marketing campaign. The best way of writing an email subject line that leads to the email being opened (instead of sent to spam) is by appealing to basic human nature and principles of psychology. Use whitespace effectively. Do not try to squeeze in too many different elements around a call to action, instead, by surrounding it with whitespace it will stand out more for users. Place all of the most important information on the page in an f-shaped pattern. Studies show people view webpages in this pattern. Place crucial information (like your CTA) within this pattern, and ensure less important information is placed in areas of lower visibility. Place your primary call to action above the “fold” visitors should not have to scroll down to find your CTA. Always use a button for a call to action – they are proven convert better than a text hyperlink. Use contrasting colors for CTA buttons. If one color dominates your site, choose a color from the opposite side of the color wheel for calls to action. Make calls to action compelling in all content. Your content is not just there to fill space – include an action for the user to do next, for example, “Thanks for watching our video. Click the link below for more information”. Direct all paid ads to a target landing page. Don’t direct ad traffic to a homepage, they aren’t targeted enough, meaning ads will not covert very well. Do away with irrelevant imagery. Photos or images that jar with your CTA put users off and therefore do not convert well. Include buttons for sharing to social media on blog posts. They are a call to action for sharing and save users’ the time of manual copy and pasting of a link to the post. Make good use of thank you pages. Visitors to a thank you page are already primed to convert, and this can be achieved by asking them to do something, such as ‘like’ your Facebook page. Make your 404 error page customized. A default 404 error page can cause high bounce rates, however a custom 404 error message may help you recover some of those leads and result in conversion. 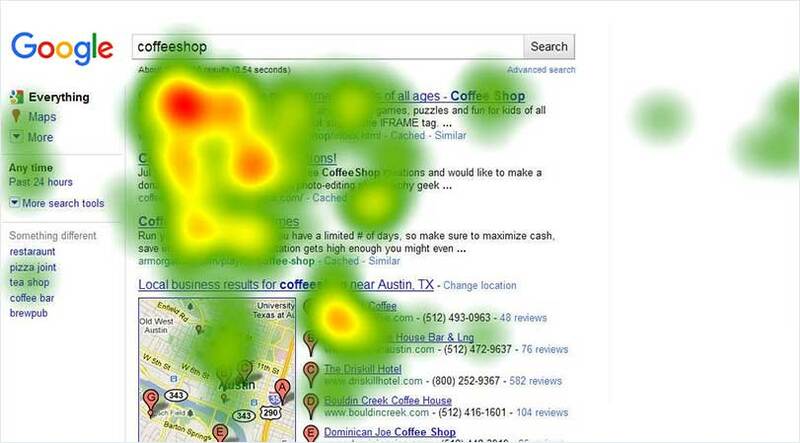 Try to optimize your most popular pages for conversion. Don’t waste time on over-optimizing pages that don’t attract much traffic. Instead, you should focus on optimizing your most popular pages. Utilize a two-step call to action process. Studies show two-step CTAs can lead to an increase in conversion of up to 785% because the process is initiated by the user. On every page add an exit-intent popup. Some 70% of visitors will leave your site and never return, so you should convert those visitors using exit-intent technology. Add two-step optin and content upgrades to your popular posts. Blog posts that have a content upgrade convert five-times better. For even better conversion rates, make sure to utilize a two-step optin with content upgrades. Make sure your forms have as few fields as possible. If it is possible ask only for a name and email address. Even better, only ask for email. You can ask for more information after beginning the conversion. Write headlines that are geared towards results. A lead magnet needs to promise a result to convert. Your headline should reflect that. Make sure the benefits of your lead magnet are clearly stated. Why should a visitor opt in? What problem does it address? How will it improve their life? Summarize these benefits using bullet points. Bullet points are much easier to digest than large blocks of text. Explain to users exactly what they will get. Is it a course? A video? A PDF download? Use active verbs in subscribe buttons. For example, “book your room”, “get your copy”, “download now”. Use directional cues that are visual. For example an arrow pointing to the subscribe button. Use animation. Catch the eye of visitors and boost conversions rates by including animations in popup forms. Promise privacy. Subscribe buttons will convert better if they include a brief privacy promise – usually directly below, such as “We promise your email address is secure”. Include your number of subscribers. You can consider this as a measure of credibility, which leads to an increase in conversions. Remove all distractions by using a full-screen welcome gate, this means visitors are focused on your optin form. Include a floating bar they remain visible in either your header or footer so the CTA always stays above the fold. Target the interests of visitors. Which pages or blog categories are they browsing? Target them with offers based on their interests. Mark your new subscribers by their interests. Why did they sign up? By taking note of their interest you are able to send targeted autoresponders to them. Include inline forms in blog posts. Readers of your posts have an interest in what you are offering, so provide them with an inline form after they have finished reading, or even through the post’s content. Include a slide-in form on scroll. These box forms politely appear at the corner of the screen only after a viewer has had the chance to read the content. Add “as featured in” logos. These can be taken from places where you have been mentioned and are signals of trust that can boost conversions. When you haven’t had a mention anywhere, you can change the situation by writing and submitting guest posts. Add a guarantee such as “30-day money back guarantee”. Add testimonials that are results-oriented. Testimonials work, but work more effectively when they are focused on measurable results. Include your number of followers on social media. If you’ve got a large number of followers, find a way to include that in your copy. Add third-party reviews from third-party sites such as Yelp or Amazon, people consider these reviews to be more trustworthy than reviews posted on your own site. Add a list of well-known companies or people you have worked with. Utilize a professional design for your website. It must look clean and professional for you be taken seriously. Use only images of high-quality. If you do not have images of your own, subscribe to a high-quality stock photo archive. Use photos depicting an end result. Photos that feature the smiling faces of people satisfied with the end result of your service or product will help prospective customers picture themselves as actual customers. Make mention of scientific studies. Science is something people respect, use studies to argue your case. Link to your sources and other supporting evidence. You will gain greater trust when people are able to easily verify facts for themselves. Correct any mistakes you make. If you make an error, acknowledge that it happened. When you are honest you will get more respect. Showcase your expertise. Do you have a specific qualifications? Are you a published anywhere? Be sure to mention that in your biographical information. Don’t get heavy on content that is promotional. Your content should firstly be primarily useful or educational. In pushing your products too you will, in turn, only push people away. Be sure to publish content that is educational. Publishing this type content is ideal for highlighting your expertise. Keep all of your content as up-to-date as possible. If you’re wanting your company to be viewed as relevant you should constantly update your content. Add third party trust seals. Research shows trust seals increase conversions at checkout. Make sure you include a FAQ section with questions from customers, or the questions you would ask if you were a customer. Address customer objections. Know what potential objections your target customer may have to the sale and ensure you address each of them. Eliminate corporate jargon. While these words might be understandable to you, if your buyers are unfamiliar with them it will both irritate and confuse them. Use the word “you” more. People love when you speak directly to them. Write copy that is relatable. Have fun with it, and don’t be too formal or professional. People like to read copy that is relatable. Don’t over-hype your product. Try to write copy that makes users excited about your product minus the hype. Don’t use long paragraphs – break them up. Shorter paragraphs help keep users reading. Add photos of yourself. If you are a small business owner, you have the personal touch and that is an advantage over the big guys. People like buying from real people, so show them your face. Utilize video, it can also make your brand more human, especially if your video features real people talking on camera. Avoid really cheesy stock photos. People automatically know when a photograph isn’t genuine. Use your own photos if possible, and if you have to use stock photos ensure they look human. Include contact information to give users a way to contact you directly with questions. Target messages towards mobile users. When you detect someone browsing your site via mobile, you can show a targeted message or request they download your mobile app. Use personalized greetings by using referrer detection technology to greet visitors coming to your site from a specific source of traffic. Include clear and unique value propositions. Make recommendations for related products. You can place these on product pages in order to encourage your users to browse more, or on your checkout pages for encouraging cross-sells. Add scarcity by disclosing stock numbers, such as “only three in stock”. Include a popup for exit-intent on a pricing or product page. Use it for recovering abandoning leads and to encourage them to buy. Make most of your checkout form fields optional. You should only ask for the minimum information needed for a purchase because you can always ask later for more information. Make shipping available for free. Some 73% of shoppers online say unconditional free shipping is a deal breaker. Make returns free. Two out of three shoppers claim they would buy more products online if returns were free. Offer various payment plans. One policy does not suit all, so ensure you cover all your customer needs with payment plans that work best for them. Offer price-match guarantees without them people shop around looking for the best price and may not return to your site. Offer bonuses to people at checkout. A carrot to make the deal sweeter will reduce the abandonment rate at shopping cart. Clearly express the how valuable your product is. If it is more expensive than average, explain what it is about it that makes it so special? Explain in as much detail as possible here, and explain the reason for the price after explaining its value. Include a video that demonstrates your product. Studies show this is a way to make 73% more people make a purchase. Add a chart for comparison purposes. What are the features your product has the competition does not? People always want to shop around, so help them out with a chart comparing your product to others. Create a sense of urgency by making offers time sensitive. Utilize a countdown timer showing when your deal will end. Write pages for high-end products longer. In general, if your product is more expensive then you will need more copy. If your sales pages are long-form, break them up with multiple calls to action. You can’t anticipate when your prospects are ready to buy, so place call to action buttons in several places. Add a progress bar on your registration or checkout pages. Progress bars can increase conversion rates because they encourage users to follow through with the process. Give an estimate of delivery time before checkout. This serves to reduce the abandonment rate of your shopping carts. Provide a close-up view of your product. Potential buyers want to see it up close and from different angles. Add thumbnail images to your shopping cart. This helps to reduce abandonment of shopping carts by making items slightly more tangible. Do not ask users to register for them to make a purchase. Allow them to buy as “guests”, then ask them to register after they have made a purchase. Reduce the number of steps users have to take. Count the number of steps or pages it currently takes for a user to make a product purchase. Is there a way to reduce that number? Help when users are browsing with filters and sorting. You want to make it as easy as possible for them to find the product they are looking for. Include breadcrumbs on product pages. The goal is to make it as easy as possible for them to search for what they’re looking for and prevent them from abandoning your site. Follow up on what you promise. If you have a discount ending at 8pm, keep your word. You need your users to know you mean what you say. Include a live chat box on sales pages. These represent your strongest leads, therefore you should give these users a way to talk to you and overcome objections. Build an effective sales funnel. Does your sales process work? Ensure you set up your funnel well, and work to improve it constantly. Give customers incentive to write a review. Be sure to email existing customers and ask them to leave honest feedback and provide incentive for them to this, such as giving them discount on any future orders. Test your offers. You should make this one of the primary things to test, without offers that have an impact on your target market, no adjustments you make will make much difference. Try out various headlines. When your offers are solid, make sure headlines clearly convey their benefits by trying out different wording. Test your call to action copy, such as “download now” versus “get your download now”. Test the size of your call to action button. Will a larger button lead to greater conversion? Try it and see. Test out your optin form on the sidebar. The majority of webmasters include a sidebar optin form after they have seen it on a different website. Test out your page layout. Try making your layout single column instead of two columns. Test your navigation, you can test this out by adding a call to action to your site’s navigation. Try out a variety of color combinations. Instead of changing your whole website’s color scheme test different combinations of color in a limited conversion area, for example your optin form. Try out different forms of media such as adding video or interactive elements to see if they increase your rate of conversion. Test out concise copy versus in-depth copy. Or try out bullet points instead of paragraphs. Try out different forms of payment options and other special offers, such as providing free shipping versus 30% off.